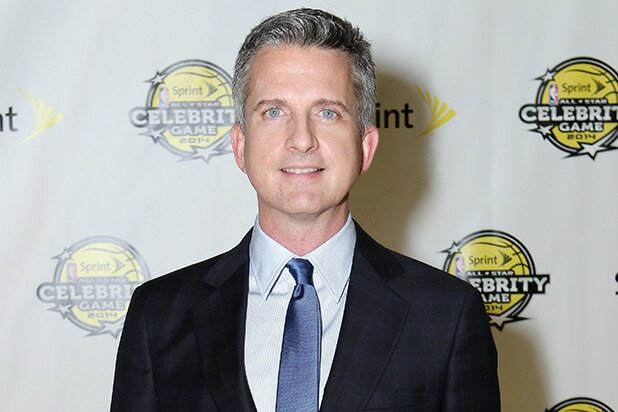 Bill Simmons has signed a new longterm, overall deal at HBO. The pact will keep the ESPN alum and The Ringer CEO focused on creating and producing sports-themed content for the cable network, in TV series, films and documentary programming. The multi-year renewal deal was set on the heels of HBO and Simmons’ collaborations on the successful documentary “Andre the Giant” and his special “Courtside at the NBA Finals.” The former project is the most-watched documentary in HBO Sports history, with close to seven million viewers across all the premium cabler’s linear and digital platforms. Late last year, Simmons launched Ringer Films and is set to announce his first slate of scripted and non-scripted projects later this year. Simmons is represented by Dixon Talent, Inc. and The Ringer is represented by CAA. Before Sunday night's premiere, HBO and the "Sharp Objects" creative ensemble celebrated the television adaptation of Gillian Flynn's novel at the ArcLight Hollywood and at an afterparty at Boulevard3 on Sunset. 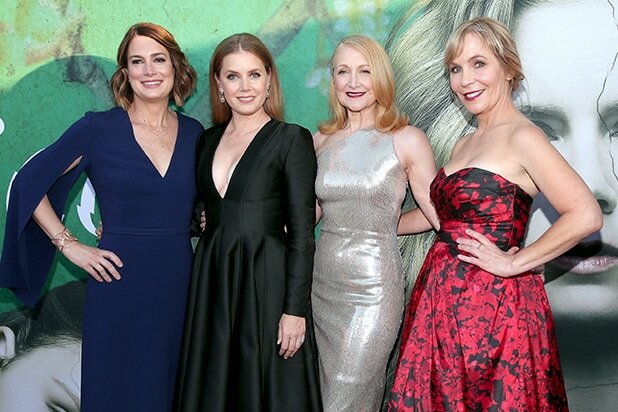 Pictured here: executive producer/author Gillian Flynn, Amy Adams, Patricia Clarkson and executive producer/creator Marti Noxon. "Power" executive producer 50 Cent knows that a new season of the Starz show means it's time to party "like it's your birthday." The celebration in New York on Thursday night included a choir, fog machine and the G-Unit main man entertaining the guests. At the afterparty, 50 Cent huddled with creator and fellow- executive producer Courtney A. Kemp. It was a 104 degrees at 10:15 p.m. when Vance Joy's headlining show at the Greek ended on Friday night, but that didn't stop the Aussie's L.A. fans from selling out the show and turning up early and loud. "This is by a fair way, our biggest headline show ever here," he said and thanked the crowd for "braving this incredible heat." In a few different configurations, Vance ran through most of the new "Nation of Two" album during an 85-minute set. Republic artist Mondo Cozmo (left, with Craig Adams) opened, playing his number one "Shine" and thanking the crowd for coming out "early" on the hot Friday night. "We’re playing the freakin Greek tonight. Insanity," he wrote on Instagram earlier in the day. "In 1.5 years we went from the Hotel Cafe to the Troubadour to the El Rey to The Greek. What a beautiful mountain to have climbed. Thank you @vancejoy for helping us get there." Veteran actor Tim Matheson, "Breaking Bad" creator Vince Gilligan and "Game of Thrones" producer Carolyn Strauss gathered at the Paley Center to lead CNN's celebration of its new recent-history series, "The 2000s." Because the series focuses on the rise of the contemporary golden age of TV, these TV big shots were appropriate guests. Fun fact: Tom Hanks produces the series. "Downton Abbey" belongs in the conversation of the current golden age. Here, the former "Mrs. Patmore" (Lesley Nicol) hugs BAFTA L.A. CEO Chantal Rickards at the group's Student Film Awards. The trophy handout took place at the Ace Hotel downtown on June 29. Alberto E. Rodriguez/Getty Images for BAFTA L.A.
Music fans and Bally recently celebrated 30 years of seminal rap artist Slick Rick. Beverly Hills is traditionally a snoozefest on Saturday nights, but not on June 23, when hip-hop pioneers gathered in the 90210. Pictured here with the guest of honor are Mandy Aragones and En Vogue's Terry Ellis. Snoop Dogg came to DJ, spinning Slick Rick classics "La Di Da Di (We like to Party)" and "Mona Lisa." It's a long but refreshing leap to have the Bronx on Rodeo Drive. Giorgio's -- the understated Saturday night party for in-the-know industry figures who wouldn't be anywhere else on a Saturday night on the Sunset Strip -- celebrated its five year anniversary. Here, founders Adam Bravin (aka DJ Adam 12) and Bryan Rabin are at the decks. Celebrants included (from left): Stylist Elizabeth Stewart, fashion expert George Kotsiopoulos, Rabin, designer Brian Wolk, stylist Yana Kamps and designer Claude Morais. The pet-friendly Standard took it one step further, welcoming music producer Nick Launay and his pet to the festivities. The Party Report never sees industry types dance at parties. Giorgio's is the exception. The party is named for electronic music pioneer Giorgio Moroder (the "Scarface" and "Midnight Express" soundtracks, and Donna Summer's hits "Hot Stuff" and "On the Radio"). Bravin behind the decks with writer Jason Sugars. A few blocks west on Sunset at the new Jeremy Hotel, "The Arrangement's" Josh Henderson (right) made the scene at Karma International's "The Creux Automatiq Affair." Jaime King came to celebrate pal Lucy Hale's cover of Haute Living at the new Waldorf Astoria Beverly Hills, the hotel anchoring the corner of Wilshire and Santa Monica that has opened up the party palette on Golden Globes night. ICM Partners client Jeremy O. Harris, vintner Jim Obergefell, "Queer Eye's" Karamo Brown and ICM Politics' Caroline Edwards attended ICM’s Pride Month event. The celebration in ICM's NY Offices highlighted Obergefell’s wine company, Equality Vines, which benefits a variety of LGBTQ charities. New York finished up pride month strong. "The Real Housewives of Beverly Hills" star Erika Jayne hosted Ketel One's Pride celebration at The Blond. Atlantic City got a taste of Vegas with Kaskade spinning at the opening of the Ocean Resort Casino. Shanina Shaik and Heidi Klum flanked the producer at the pool party in the space that was formerly known as the Revel Casino Hotel earlier this decade. Niall Horan and pro golfer Justin Rose teamed up for a co-branded "Horan and Rose" golf outing and gala benefit in Watford, England, raising money for cancer research for kids and teens in the UK. That night, Horan performed hit "Slow Hands" with fellow "X Factor" alum Olly Murs after they chipped in $85,000 to win a trip to South Africa that they said they'll take together.